When we say Sydney automatically what comes to our mind is Sydney Opera, the astounding world popular and busy center of performing arts and best example of modern architecture. This major city of Australia has many other invigorating attractions like the adventures at Sydney harbor and Bondi beach which will keep you busy during your visit, are one of the most dazzling cities of the world. 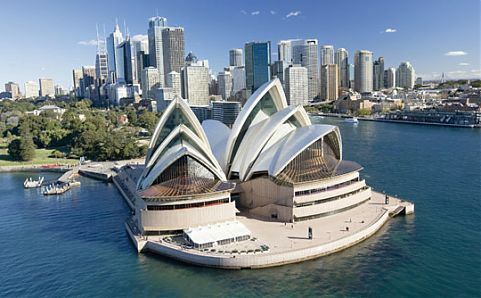 Major attraction of Sydney remains the exclusive Opera House of Sydney. Summer time is the answer to your query, when to visit Sydney. Beginning your tour by visiting the Sydney harbor as well as the harbor bridge will raise your adrenaline levels. There are many options whether to climb the bridge at dawn, twilight, in the daytime or at night. If you climb it both during the day and night you will be lucky enough to catch the beautiful views from both perspectives. Night views are more impressive due to the influence of the star like twinkling lights of the harbor. It is a not to be missed pleasure of your Sydney tour in which you can catch awesome glimpses of panoramic views of surrounding harbor region. Accommodations in Sydney are elegant and available in many suitable options like Bed and Breakfast, Hotels and Motels, Boutique hotels, Resorts, Cabins and Cottages, farm stays, backpackers and hostels. There are intrinsic places to visit in Sydney which provide a glance of the history, culture, local cuisine, shopping and entertainment. Other way of experiencing the real delight of the harbor is to join the harbor dinner cruise which is the ultimate activity offering glamorous views of the Opera house and the harbor bridge floating above. If you are moving in the cruise during night then you can catch some of the most exquisite views of this destination. Major Beaches in Sydney like collaroy beach, Palm Beach, and Collary beach are dazzling with golden sands and attracting tourist with best opportunities to surf. Visit Sydney the major attraction of Australia for a memorable tour of this unique destination.